Courtesy of Erin Evilsizor, Irongate Inc.. 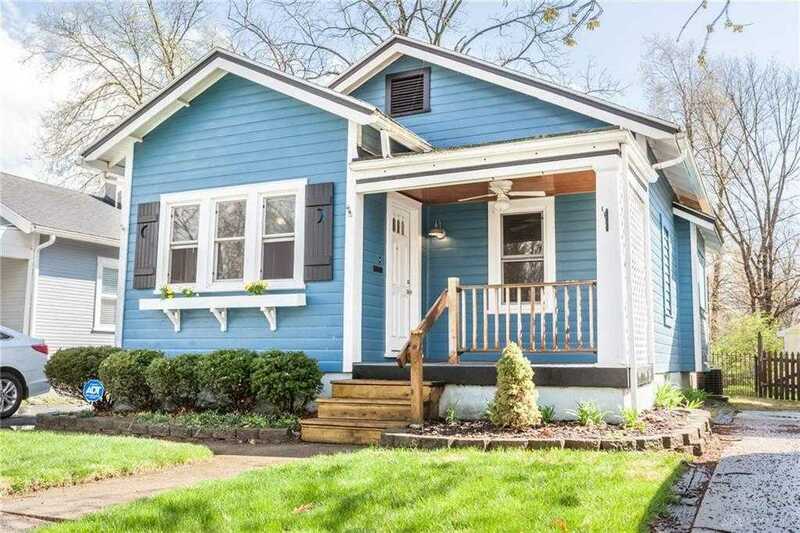 This lovely updated bungalow is filled with character and charm and has plenty of extra living space in the finished basement and on the front porch/rear deck. Beautiful hardwood floors welcome you into the living and dining areas, two first floor bedrooms and the nicely updated kitchen. The kitchen features stainless steel appliances, beautiful cabinetry, ceramic tile flooring and glass tile backsplash. The extra row of cabinets and counter space, adjacent to the kitchen, are a major bonus! Enjoy your evenings on the back deck, wired for TV/Cable, or in the large rec room in the basement. This home is move-in ready, cute as a button and very well maintained. Please, send me more information on this property: MLS# 787724 – $106,900 – 1224 Oakdale Avenue, Dayton, OH 45420. I would like to schedule a private showing for this property: MLS# 787724 – $106,900 – 1224 Oakdale Avenue, Dayton, OH 45420.